Massive Pet Food Savings This Week! Don’t miss up to $16 off dry food and up to $8 off frozen raw food during our Black Friday/Small Business Saturday sales! Enjoy generous discounts on select treats, too! Brands on sale include American Natural Premium, Earthborn Holistic, Fromm, Fussie Cat, OC Raw, PureVita, Sam’s Yams, Wet Noses…AND MORE. These sales are ONLY GOOD FOR THE DAYS LISTED, for normally stocked products. 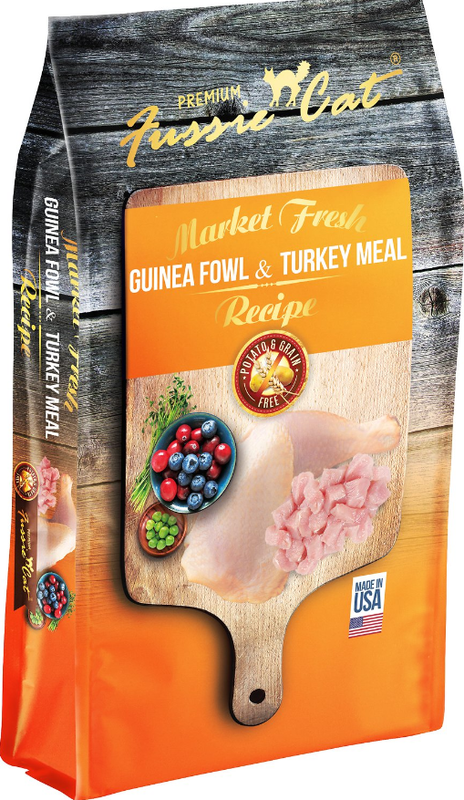 We now carry two new dry food flavors from Fussie Cat—Market Fresh Guinea Fowl & Turkey Meal and Market Fresh Quail & Duck Meal. 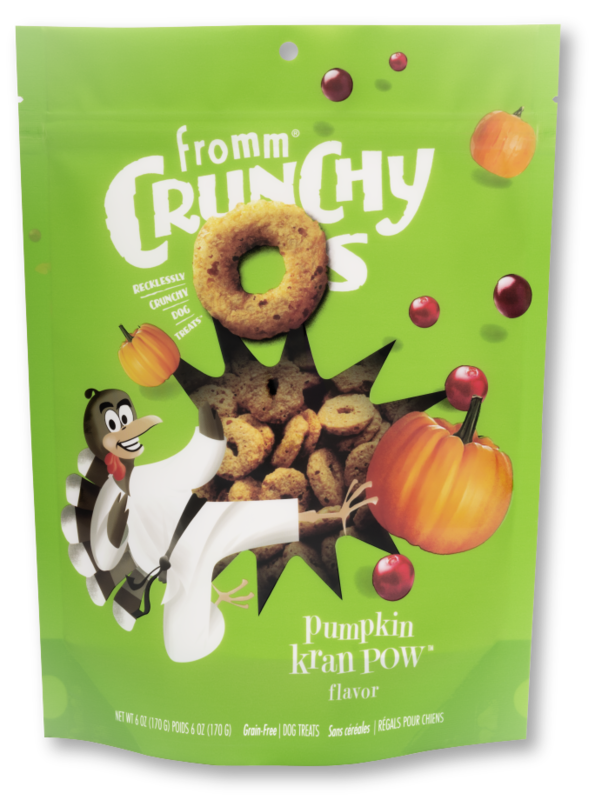 Fromm’s Crunchy O’s Treats have also made their way to our shelves! Your dog will love the flavors: Pumpkin Kran POW, Smokin’ CheesePlosions, and Blueberry Blasts. To learn more about how to adopt through HAWS, please visit their adoption page. You may also give them a call at 262.542.8851. This week's Pet of the Week is Ali! She is a beautiful four year-old pit bull. 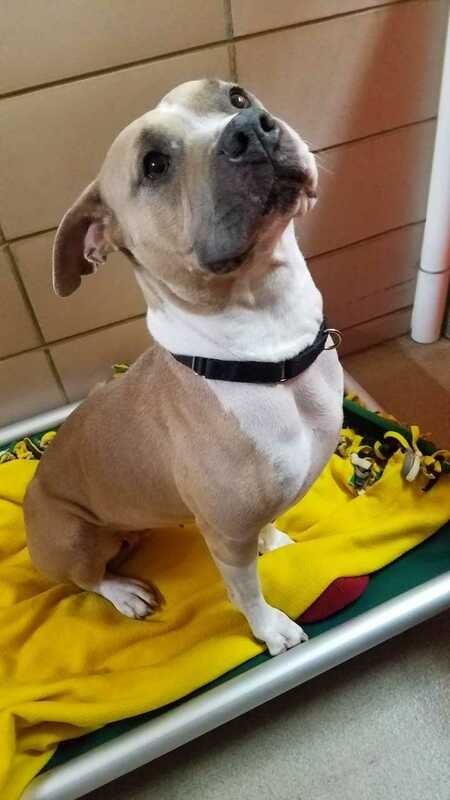 This girl has been at HAWS since July, patiently waiting for the right adopters. Ali is very smart, she loves to learn and knows many cues. She is a cuddle bug with velvety-soft fur. Ali wants to hog all of your love and praise though, so she's looking to be an only pet. Let's get this girl home for the holidays! Both of our End of the Leash locations will be CLOSED on Thanksgiving Thursday, November 22nd. We will reopen on Black Friday, November 23rd from 9am-7pm. Our Small Business Saturday hours are our normal weekend hours, 9am-4pm. Hope to see you during our fantastic sale days!! Please remember that us folks at End of the Leash are not veterinarians and no information on our website is intended to replace the indispensable and professional advice of your veterinarian.